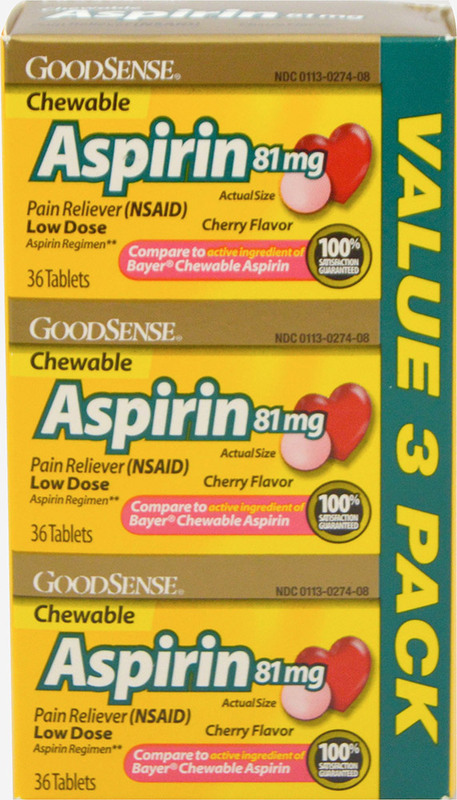 Good Sense Chewable Aspirin features 81 mg of nonsteroidal anti-inflammatory drug per tablet. Cherry flavor For the temporary relief of minor aches and pains. Compare to active ingredient of Bayer Chewable Aspirin. Low dose. 100% satisfaction guaranteed. Value pack of 3 bottles.